The NOCO ISCC2 5-Way SAE Adapter Connector is designed to connect up to five SAE devices. Made from a heavy-duty 16 AWG SPT-2 cable, the ISCC2 minimizes voltage drop and heating through the cable. It features rugged overmolded connectors with strain relief protection for a rugged connection and five six inch independent SAE adapter leads. 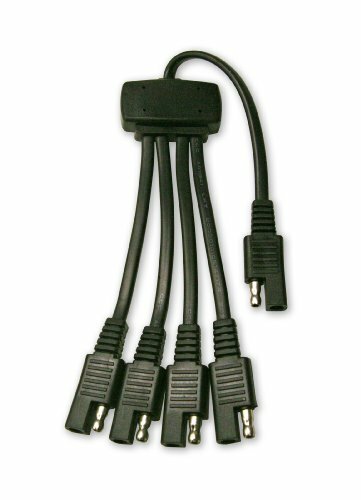 Ideal for daisy chaining multiple SAE devices, like a solar panel, charger, GPS, heat clothing, and other related SAE devices. ☛ Ideal for multiple applications with SAE adapter; connect to solar panels, chargers, GPS, heated clothing and more.